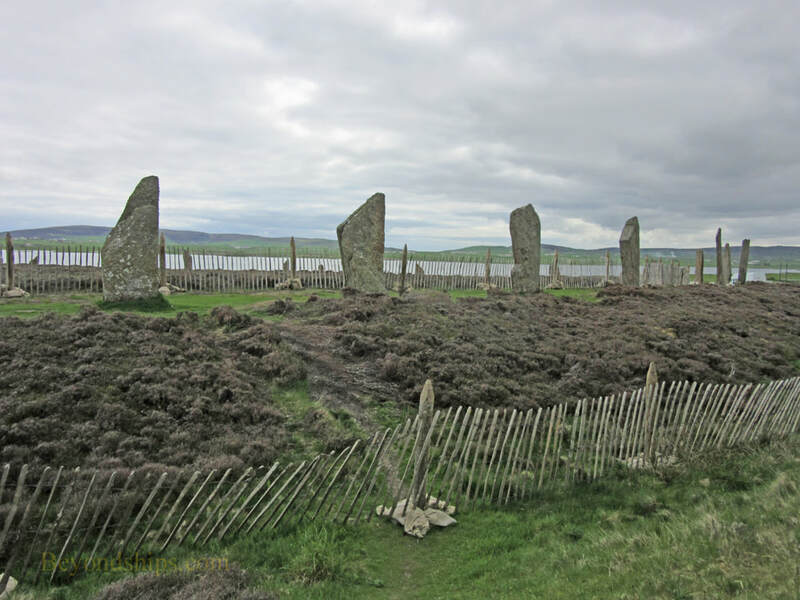 The Ring of Brodgar is an ancientc henge monument., part of the Orkney World Heritage site. 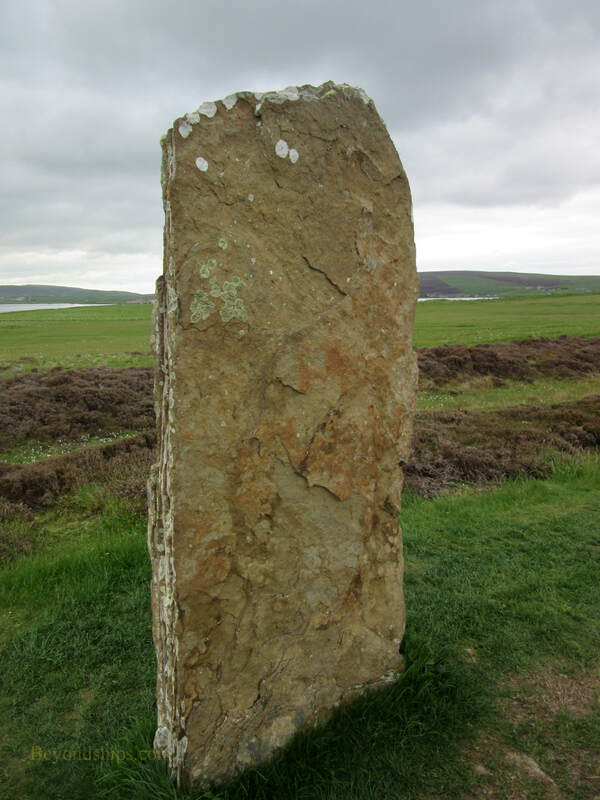 It is much larger than the nearby Standing Stones of Stennes. 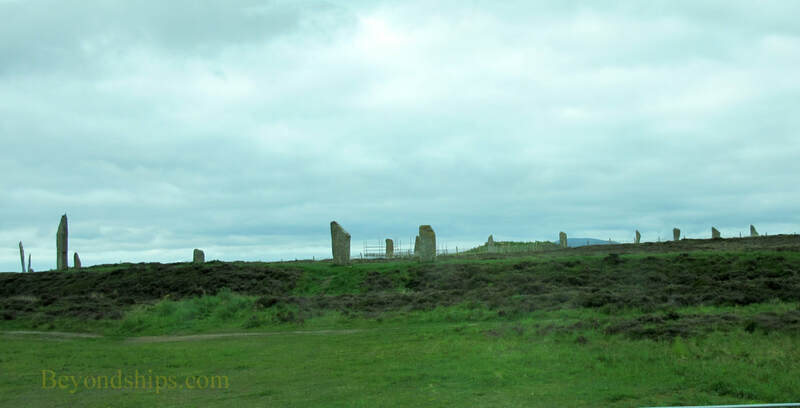 Indeed, it is the third largest henge monument in the British Isles. The age of the Ring is unknown with estimates going back to 4500 BC. However, the majority view seems to be that it was built between 2000 and 2500 BC. Sited in a natural amphitheater, the Ring is believed to have been a meeting place where ancient people met for ceremonies, possibly to commune with the dead.. There are also theories that the Ring may have had an astronomical function. Tradition has it that the Vikings used the Ring as a temple in the 9th century. While this claim is disputed as the product of 19th century romantics, there is Viking graffiti on some of the stones. The Ring originally consisted of about 60 stones set in a perfect circle. The diameter of the circle is about 341 feet. Surrounding the circle is a ditch cut through the rock that was about 10 feet wide. Two causeways cross the ditch. 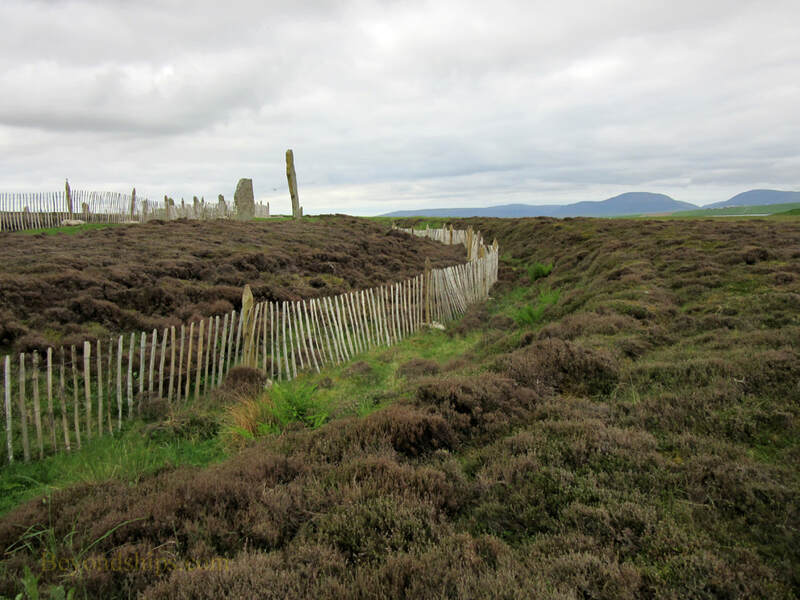 Unlike other henges, there was no earthen bank around the ditch. Some 36 stones remain standing. 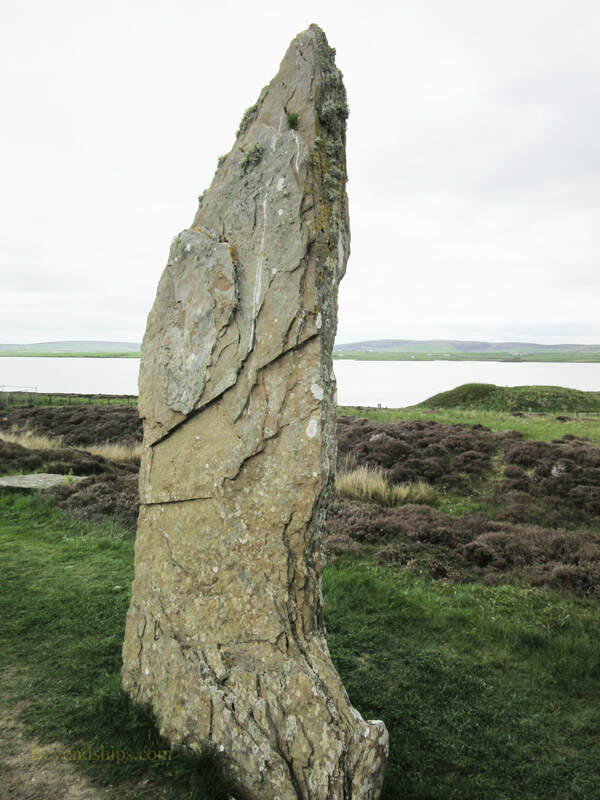 They are smaller than the Standing Stones of Stennes, ranging from seven to 15 feet in height. The stones are of various types of sandstone, which suggests that they came from different locations. The area surrounding the Ring is rich in ancient sites including burial mounds, carins, and standing stones. There is also evidence of an ancient field system. The Ring stands in an isolated, rural area on a strip of land between between the Lock of Stennes and the Loch of Harray. A car and coach park has been built nearby. Historic Environment Scotland maintains the Ring. For more information about visiting the Ring, see the Historic Environment Scotland website. 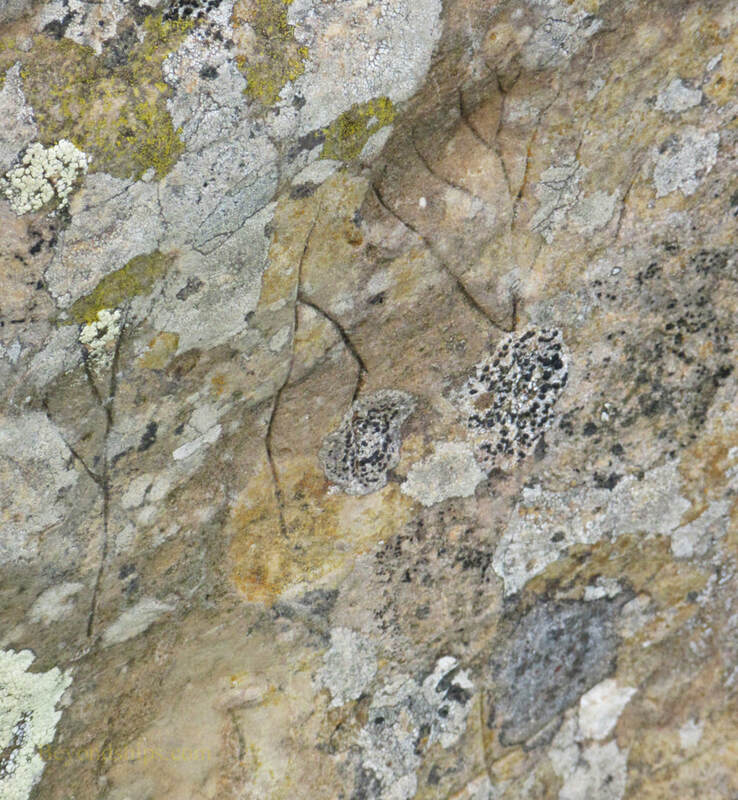 Above: Viking graffiti on one of the stones.